Am Acher 2 is a modern apartment with a balcony offering excellent views of the surrounding Alpine landscape. It is situated in car-free Wengen, 150 metres from Wengen Train Station and 250 metres from the Gondola Lift to Männlichen. Please inform Chalet Am Acher 3 in advance of your expected arrival time. You can use the Special Requests box when booking, or contact the property directly with the contact details provided in your confirmation. A damage deposit of CHF 300 is required. The host charges this 14 days before arrival. This will be collected by credit card. You should be reimbursed within 14 days of check-out. Your deposit will be refunded in full via credit card, subject to an inspection of the property. Guests will be contacted by the owner to arrange handover of the keys. Wengen is a car-free village. You can reach Wengen only by train. Park your car at Lauterbrunnen Station and take the train to Wengen. The train ride to Wengen takes approximately 15 minutes. 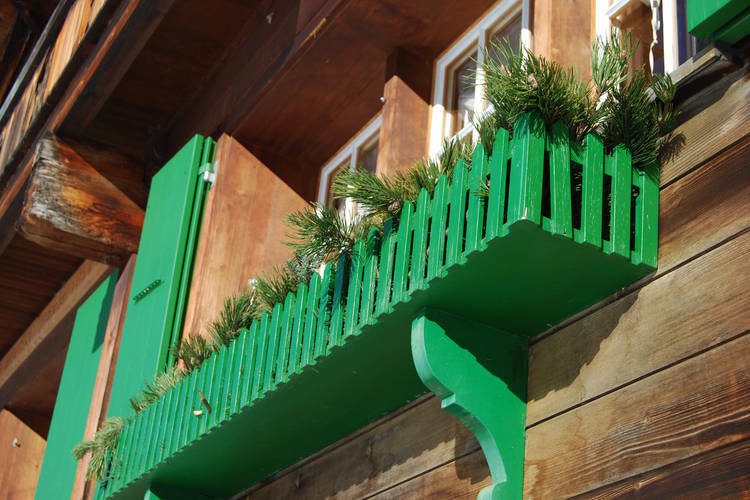 For more information, to check availability at this Hotel, or book a room, please see Chalet Am Acher 3, Wengen, Switzerland - Hotel Details. Chalet Am Acher 3 is in the Swiss ski resort of Wengen and has Grindelwald, Adelboden, Kandersteg and Interlaken and other ski resorts within reach for a days skiing. Note :- Ski Hotel deals for Chalet Am Acher 3 are subject to change until booked. You must check any particular requirements directly with the Operator at the time of booking.